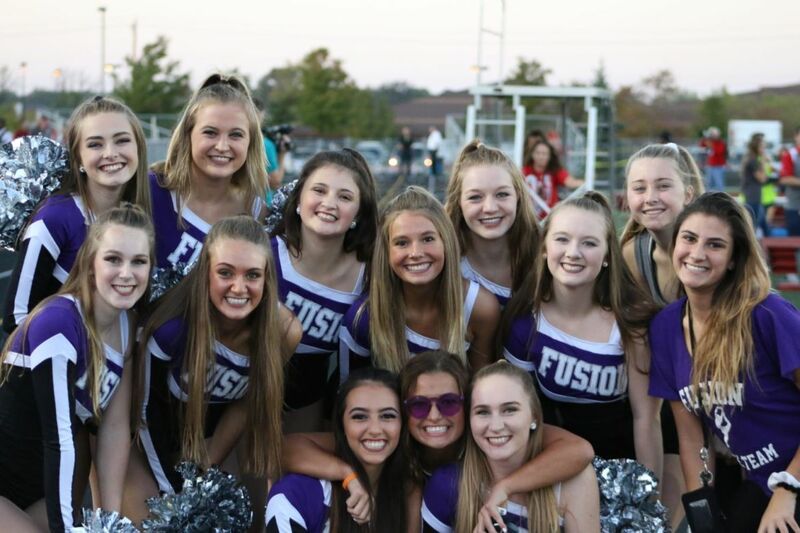 A month before their first competition, Fishers Fusion varsity lost one of their senior dancers to an injury, so they turned to the JV team to fill her spot. Sophomore, Reece Coleman tried out and made the varsity team. While she had to say goodbye to her teammates on JV she ultimately had to jump into a group of girls that had already been practicing together for months. Coleman was a competitive gymnast for nine years. However, in 2015 she had to quit gymnastics because of a back injury. She uses her extreme flexibility, endurance and jumps to help her succeed in the dance room. Coleman had to memorize, practice and perfect three dances in a month while other dancers had three months to practice these routines. Coleman used her strength from gymnastics and running to help her practice and memorize these routines. This season she has made friendships with the varsity girls as well as kept the old. She visits the JV practices as well as continues to participate in the JV team get-togethers. While the junior varsity team was very happy and excited for Reece to dance with the varsity team, they miss her at practice. Freshman Hailey Howard, her old teammate, along with the rest of the team misses her. However, her team is proud of her achievements. Coleman is looking forward to improving and working with the varsity team this year. She is planning on improving her turns with the help of her teammates and coach. They help her by critiquing her performances to improve. Coleman taught herself how to turn in her kitchen last year so she lacks the technique that other dancers have through years of ballet classes. Coleman along with the rest of Fishers Fusion will be working very hard to prepare for upcoming competitions and to win Nationals in the Spring.